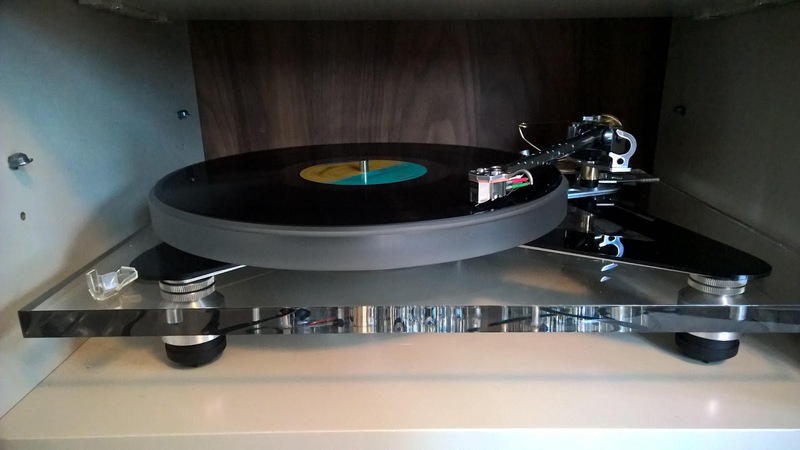 Hannu of Finland has just upgraded his RP3 with my acrylic plinth, top/bottom bracings and adjustable feet. He has some other upgrades too including the audiomods tonearm. With the acrylic plinth, now he has a beautiful turntable which brings him beautiful music for him to enjoy even more! It grooves. Very accurate. Very dynamic. Just very good. Acrylic plinth, braces, Audiomods Classic arm, Tangospinner subplatter and groovetracer platter. Thanks. Succeeded. I installed a new metal pulleys and a new silicone strap.